Pocket Fruity Mobile Casino Review - No Deposit Bonus Spins! You may have spotted that we mention being able to deposit directly from your phone bill, this is by far one of our favourite benefits of playing at Pocket Fruity Mobile Casino. A more detailed description of this deposit method can be found below. As the name would suggest, Pocket Fruity is like having fruit machine at your personal disposal day and night. We can guarantee that most men dream of having the iconic gaming machine in a games room in their home, well now you can go one better. With familiar pub type exclusive slots, you’ll be spoilt for choice with your gaming options. At Place a Bet Online we love Cop the Cash and Count Ya Money, they also recently added a host of popular big Jackpot slots that you may have seen at other top casinos. Some of which include Starburst, Golden Goddess and Monopoly Dream Life. If you feel like changing things up a little, traditional casino games are also available. As soon as you open your account you will receive the chance for some bonus spins, which is a great way to play their fun filled slot games. Regardless of whether you are playing on your Android, iPhone and Tablet devices, there is no download required. 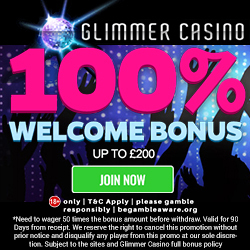 You’ll receive a 1st deposit 100% cash match bonus of amounts between £10 and £100. Pocket Fruity offer the usual depositing methods of Credit/Debit Cards, uKash and Paypoint. However, its their status as a phone bill casino that stand them out from the crowd. Using mobile payment handler Payforit, you can make quick and extremely secure payments, with the deposit amount added directly to your next 3, O2, Orange, Vodafone and Virgin Mobile bill or deducted from your PAYG credit. So what’s all the fuss with phone bill deposit? With no exchange of bank details between you and Pocket Fruity, it has to be one of the safest deposit methods available. Payforit payments are also highly regulated by Ofcom and other specialist organisations, to ensure your security. Pay by mobile depositing is quick and simple, so no need to use long and drawn out payment methods. Also if you’re a little strapped for cash before pay day you can keep playing, just remember to pay it off with your next bill. If you’re a little down on your luck, Pocket Fruity will repay your loyalty during hard times with a generous cash back bonus. Every Monday you can earn 10% cash back on your previous weeks deposits. 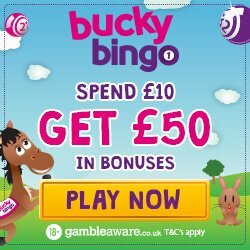 You can also earn extra cash by referring friends, Pocket Fruity will give you £15 credit for every referral. The jackpots available are progressive, meaning that the more people that play the bigger the jackpots get. If you check out the home page you will see a scrolling list of names, which is a list of winning players at that precise moment. In fact it’s quite impressive how quickly the list moves, as people add their name to the winners honour roll and it’s not just small amounts either. Pocket Fruity have a large selection games for you to enjoy, all of which are mobile slots and most are based on your favourite pub fruit machines; giving them a familiar and less daunting feel than some of the over-complicated slots available elsewhere. You can also set the amount of each reel spin to suit your budget or mood, ranging from five pence to several pounds. But this will obviously affect your winnings, bet low and your rewards will reduce accordingly. 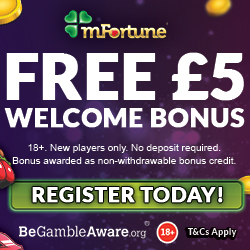 When you first sign up, only the first three slots are available and the other games unlock the more you visit the site and play; but don’t panic they have some very solid logic behind this decision. Rather than have customers diving between different games and losing money, mainly due to a lack of a games familiarity or knowledge. Pocket Fruity give you three games to play and familiarise yourself with, thus increasing your chances of winning and enjoying your experience. The more you play the games and win, the more games you unlock. We’d highly recommend unlocking Cop the Cash, as this is a really fantastic game with great prizes! So all that is really left to add to this review is…… why haven’t you signed up yet? This is definitely one of the market leaders and is growing at a phenomenal rate; soon it will be rivalling mFortune as the best available. If you like the sound of this great mobile casino, simply head on over to Pocket Fruity.